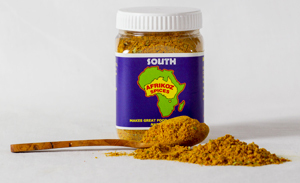 For full details on the usage of Afrikoz Spices and the tasting comments from our spice connoisseur, please visit the Product Info page. 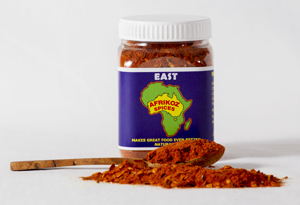 Our spices are hand-blended on the Central Coast in NSW, and are gluten free, low in sodium and antioxidant rich. Through our PayPal shopping cart on the right, where you can pay using the funds in your PayPal account, or via credit/debit card without a PayPal account. Australian shipping costs are automatically added to the shopping cart when you reach PayPal. This website is setup for Australian shipping costs, but we can certainly supply international orders. Please submit your order to us via the Contact Us page, and we will quote you for the shipping. 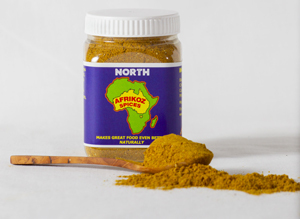 Please contact us for bulk orders above 24 jars. We are happy to replace any order that has been shipped incorrectly, saving the bother of returning goods, but we do not offer refunds on undamaged products. 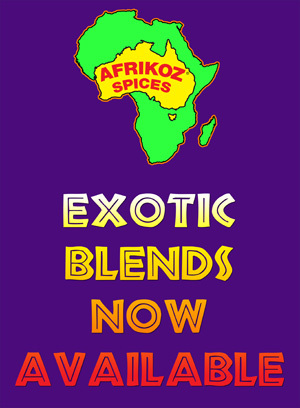 If for any reason you don’t find the fabulous flavours of Afrikoz Spices to your liking, please feel free gift them to a lucky friend. iPad users: Tap here to buy the whole set! 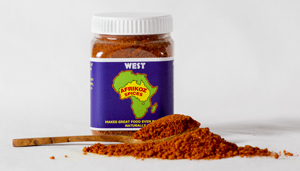 Enjoy traditional home-made spices from the 4 corners of Africa!